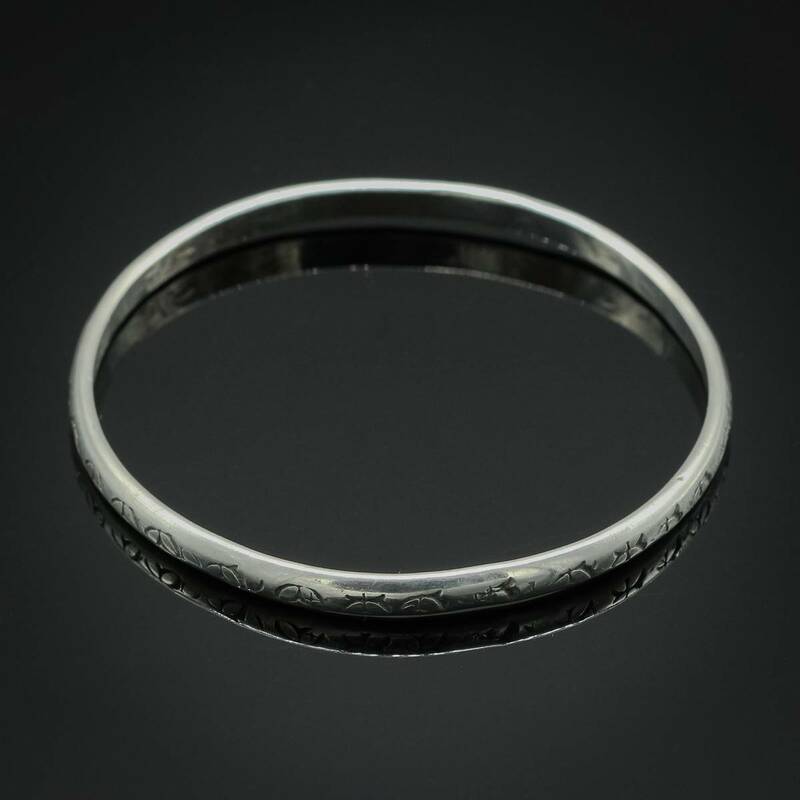 Silver Bangle Bracelet. Measures 6 1/2". 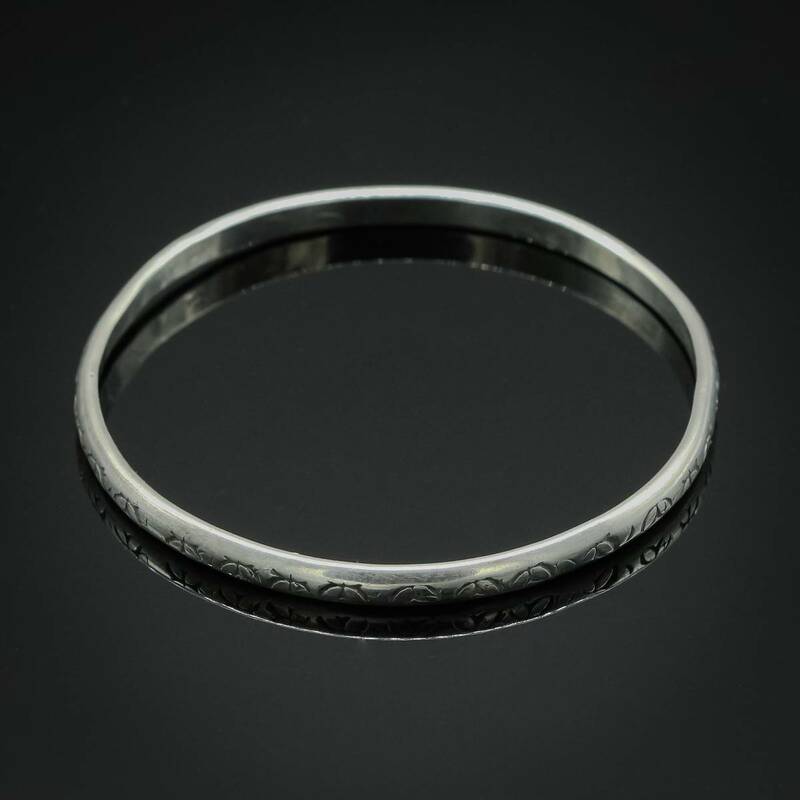 This beautiful sterling silver cuff features traditional stampwork which displays the artist's mastery of design and execution.